Closed-circuit television (CCTV) is the use of video cameras to transmit a signal to a specific place, limited set of monitors. It differs from broadcast television in that the signal is not openly transmitted, though it may employ point to point wireless links. CCTV is often used for surveillance in areas that may need monitoring such as banks, homes, casinos, airports, military installations and convenience stores. The increasing use of CCTV in public places has caused a debate over public surveillance versus privacy. 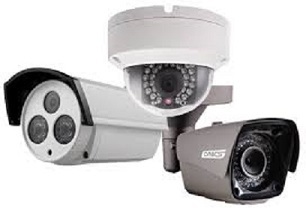 People can also buy consumer CCTV Systems for personal, private or commercial use. A more advanced form of CCTV, utilizing Digital or Network Video Recorders (NVR or DVR), provides recording for possibly many years, with a variety of quality and performance options and extra features (such as motion-detection and email alerts). In industrial plants, CCTV equipment may be used to observe parts of a process from a central control room; when, for example, the environment is not comfortable for human. CCTV systems may operate continuously or only as required to monitor a particular event.. The first rule in Chinese general and philosopher Sun Tzu’s book “The Art of War” is “Know your enemy” The same principle applies today with respect to defending ourselves, the government, public infrastructures and the general populace. With the use of quality equipments that will provide an interface both for the authorities and the public to view traffic congestion, traffic flow, density, average speed and Incident detection. The main aim of this system will be to eradicate crime and possibly reduce manual traffic road supervision. This is where we come in to provide you excellent service in procurement, installation and consultancy services. The state and security services still have the most powerful surveillance systems which they use in unveiling several secret information that probably will be referred to as hidden when required.But today's level of state surveillance have increased, and using computers we are now able to draw together many different information sources to produce profiles of persons or groups in society. Many large corporations now use various form of "passive" surveillance. This is primarily a means of monitoring the activities of staff and for controlling public relations. But some large corporations actively use various forms of surveillance to monitor the activities of activists and campaign groups who may impact their operations. Don't be left out, take advantage of this opportunity today, While in office or outside the country, you can monitor what goes on in your home or office. Call us today, we are ready to give you solutions that fit your budget. I use Vintage Technologies for the maintenance and support of our own server and office systems. Whenever I need any help or support they are always there to assist and fix any problem. 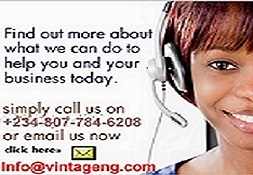 My business runs on our IT system and Vintage Technologies are always there for us. - Akinyele Oladeji, CSDC Consulting.